Karaoke is for all ages. You’ll be amazed what fun people have when they are the star of the show. Hidden talents unleashed at your party. A karaoke Dj can make all the difference to your party. Why not get that X-factor feel at your wedding or birthday by adding it to your entertainment. With over 385,000 songs to choose from, we have something for everyone. Guests love to perform like “American Idol” or “X-Factor” in front of their friends! From the first singer starts to sing. Everyone wants to get into the act. 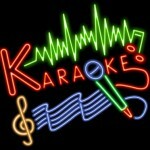 Karaoke can be available throughout your event, or you can have a unique mix of Karaoke and Disco. A karaoke DJ keeps the party alive. Waiting on your guests are deciding what to sing. The DJ will also play music so your guests can still dance should they wish to. A combination of karaoke and disc jockey skills are requires to keep the vibe of the party going. Skip will coordinate and organize the talent in your party creating a fun atmosphere for you and your guests. With a catalogue of over 80,000 songs from all popular categories, you can be sure everybody will be happy, from your gran to any high school music fan. Not forgetting The Beatles, The Killers, Whitney Houston, Showaddywaddy & many more. There is something for everyone with songs from Rock, R&B, Blues, Folk, Country, Jazz, Hip-Hop, Soul, Show Tunes, Soundtracks, Spanish, Irish, Children’s Songs, Holiday Songs, Musicals, Big Band, Swing, Oldies, Motown Chart, Dance & Pop plus many more! 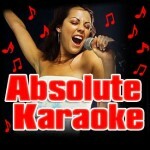 Our karaoke music library is updated on a regular basis. Remembering the old and keeping up with the new. Prior to your event you may want to discuss what music you prefer. Song requests not in the music library, can be obtained before your event. Karaoke music is digital, so load quickly, allowing for the maximum number of guests to have a turn at the Mic & sing their socks off. DJ Skip will involve your guests without embarrassing them, he will evoke their hidden talents by encouraging them to get up and sing like Whitney Houston or Kenny Rodgers. He knows how to motivate the crowd and engage them and keep it fun.